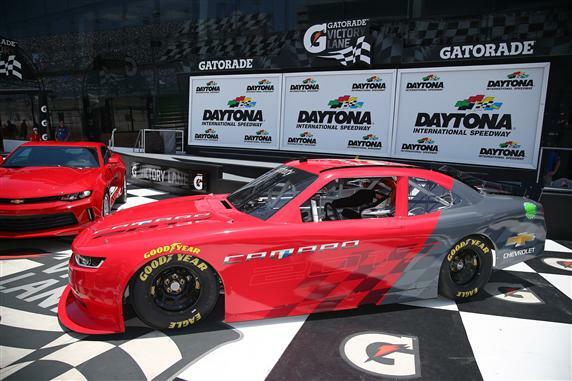 Chevrolet celebrated the 50th birthday of its heralded Camaro model by unveiling on Thursday at Daytona the sixth generation of the car, which will compete in the NASCAR XFINITY Series in 2017. The 2017 model features a refined shape to the upper nose and hood, the product of computational fluid dynamics analysis, as well as full- and reduced-scale wind tunnel development. The fifth-generation Camaro has competed in the NASCAR XFINITY Series since 2013.